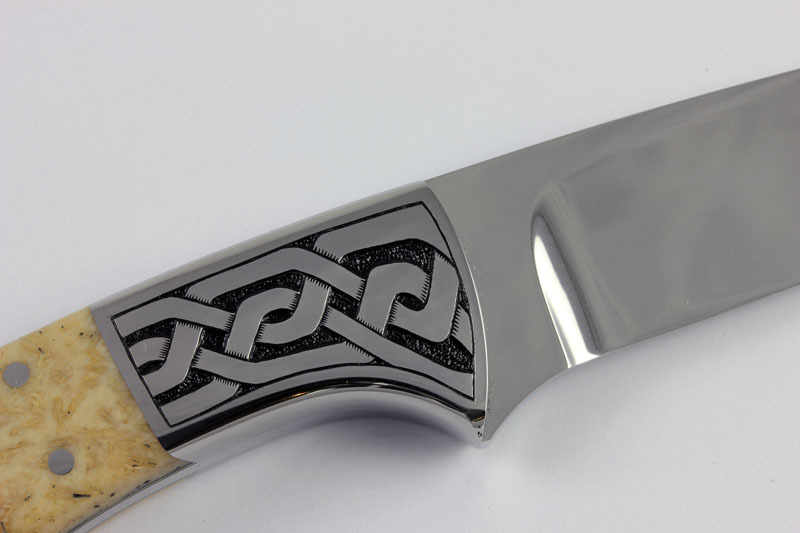 This custom prototype knife was hand crafted by legendary knife-maker Russ Kommer and hand engraved by David Sheehan. 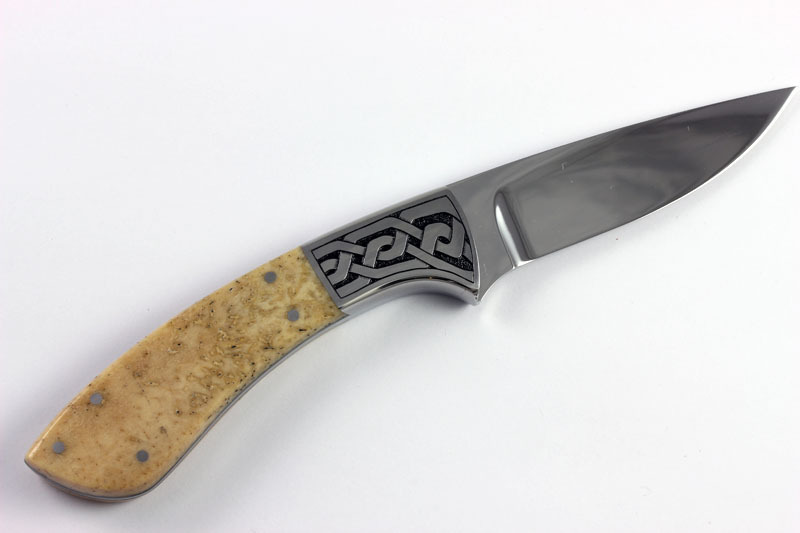 It was introduced at the 2015 SHOT show in Las Vegas. 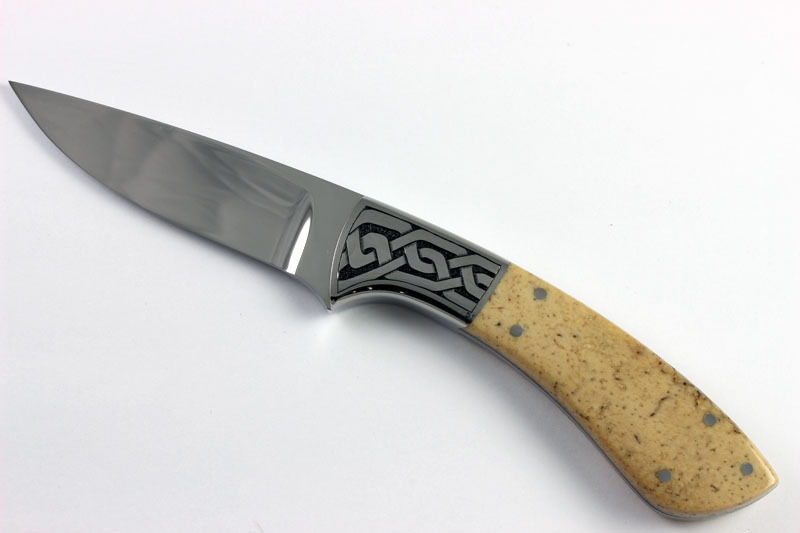 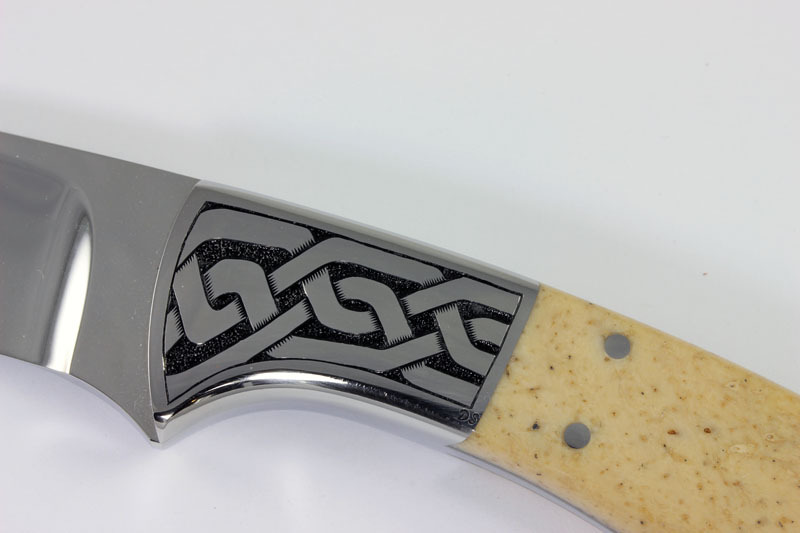 This custom hunting knife features Walrus Jawbone handles and hand engraved stainless bolsters.